In 2003, the U.S. Marines stormed Baghdad. The space shuttle Columbia exploded, killing seven astronauts. Outkast had the top pop song with Hey Ya! In Philadelphia that same year, police discovered an electronic bug in the office of Mayor John Street. Donovan McNabb was the quarterback of the Eagles. Jim Thome led the Phillies in home runs with 47. Also in 2003, the feds began their investigation of state Senator Vincent J. Fumo. On Friday, after 11 years, the long legal saga of the United States of America V. Vincent J. Fumo came to an end. The feds had 30 days until Friday to file an appeal on the last act in the criminal case -- Judge Ronald L. Buckwalter's May 20th decision to stick Fumo with an extra $359,430 in restitution costs. The feds, who have already filed two successful appeals in the Fumo case, decided not to appeal a third time. According to Fumo's defense lawyers, it was the end of the criminal case. "We're all happy for Vince Fumo," said Dennis Cogan, Fumo's defense lawyer. "Enough is enough. He's been through hell." A spokesman for the U.S. Attorney's office could not be reached for comment. The Fumo case began in 2003, when the FBI, IRS and a federal grand jury all began to investigate the former state senator. In 207, the feds indicted Fumo, who resigned from office a year later, ending a 30-year reign in the state Senate. 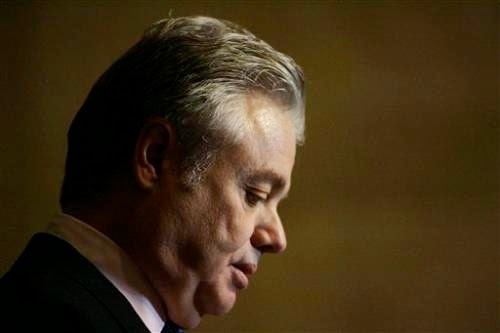 In 2009, a jury convicted Fumo on 137 counts of fraud, conspiracy, obstruction of justice and filing a false tax return. That same year, Judge Buckwalter sentenced Fumo to 55 months in jail and ordered him to pay $2.7 million in fines and restitution. But the prosecutors didn't think it was enough. They appealed and won. In 2011, Judge Buckwalter upped Fumo's jail sentence by six months, to a total of 61 months, and increased the amount of Fumo's fines and restitution by $1.1 million, to $3.8 million. But the feds still weren't satisfied. They appealed the judge's restitution order, specifically Buckwalter's decision on how to repay $1.5 million stolen from Fumo's nonprofit, the Citizens Alliance for Better Neighborhoods. Judge Buckwalter ruled that the $1.5 million stolen from Citizens Alliance should be split evenly between Fumo and Ruth Arnao, Fumo's co-defendant and the former executive director of the Citizens Alliance. Under Buckwalter's ruling, each defendant was to pay the nonprofit $783,284 in restitution. But prosecutors filed a second appeal, saying Fumo should pay more since he had more money and was the mastermind of the criminal conspiracy. The Third Circuit Court of Appeals agreed. The appeals court sent the case back to Judge Buckwalter and ordered him to amend his restitution order. So instead of dividing the $1.5 million in restitution on a 50-50 basis, on the second go-around, Judge Buckwalter opted for a 75-25 split. Under Buckwalter's decision, 75 percent or $1,165,317 of the $1.5 million in restitution will be paid by Fumo; 25 percent or $388,439 will be paid by Arnao. Since Fumo had already paid $783,264 to Citizens Alliance, he still owed $359,264. Judge Buckwalter also presided over a sequel to the criminal case, Vincent J Fumo v. United States of America, where Vince Fumo was suing the IRS, saying they had gone too far in punishing him. On June 7th, Judge Buckwalter agreed, tossing out a jeopardy assessment imposed on Fumo by the IRS, which had frozen three of Fumo's bank accounts totaling more than $2.7 million. The jeopardy assessment is a rare punishment imposed by the IRS on money launderers and international fugitives. The judge said the imposition of the jeopardy assessment was "not reasonable" because Fumo, sitting in jail at the time, did not attempt to hide any transactions of property and money to his son and fiancee. Nor did Fumo place any assets "beyond the reach of the government," the judge wrote. After Judge Buckwalter lifted the jeopardy assessment, Fumo's lawyers informed the U.S. Attorney's office that Fumo had the funds and was willing to immediately pay the $359,264 in restitution owed to the Citizens Alliance. So the feds apparently decided not to look a gift horse in the mouth. "It's been a long road," the 71-year-old former state senator told Judge Ronald L. Buckwalter in May. On Friday, a 30-day limit for the feds to file the last appeal in the criminal case expired without the feds doing anything. But nobody seemed to notice. Even The Philadelphia Inquirer, which had written 1,769 articles about Fumo in the past 11 years, didn't write a word about the end of the case. But after 11 years it was finally over. Ralph Cipriano is writing a book about Vince Fumo.